Oregon’s coastline is a rugged, beautiful place. You could probably spent an entire lifetime exploring and still not see everything. 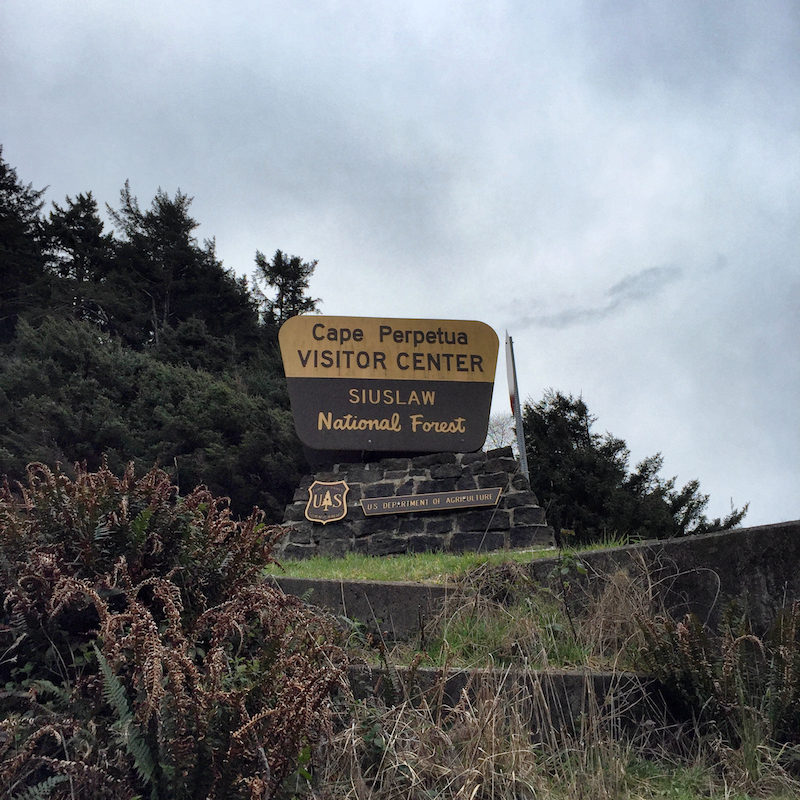 One of the many areas we haven’t had the opportunity to visit is Cape Perpetua. Located just south of the small community of Yachats along Highway 101, Cape Perpetua sits in the Siuslaw National Forest, and is overseen by the USFS. During a recent road trip we decided to stop in and check things out for ourselves. We sure were glad we did — what an amazing spot! As anyone who spends time outdoors already knows, public lands can run the gamut from a dirt parking lot and trailhead, all the way to well-developed grounds complete with a snack bar and gift shop. Cape Perpetua is somewhere in-between; there are numerous accessible paved trails, as well as those covered with gravel or decomposed granite. Additionally, there is a staffed visitor center, paved parking, restrooms, nearby campgrounds, etc. Due to these improvements, this is an area where day use fees are collected (or use a recreation pass). If you only have a relatively short amount of time to visit, as we did, there are trails from the visitor center down to many scenic spots and overlooks. There are amazing views in every direction and no shortage of things to see. One thing’s for sure — we’ll be back to do more exploring and hiking! All images and content © 2017 of the respective author(s), unless otherwise specified. No use without permission.